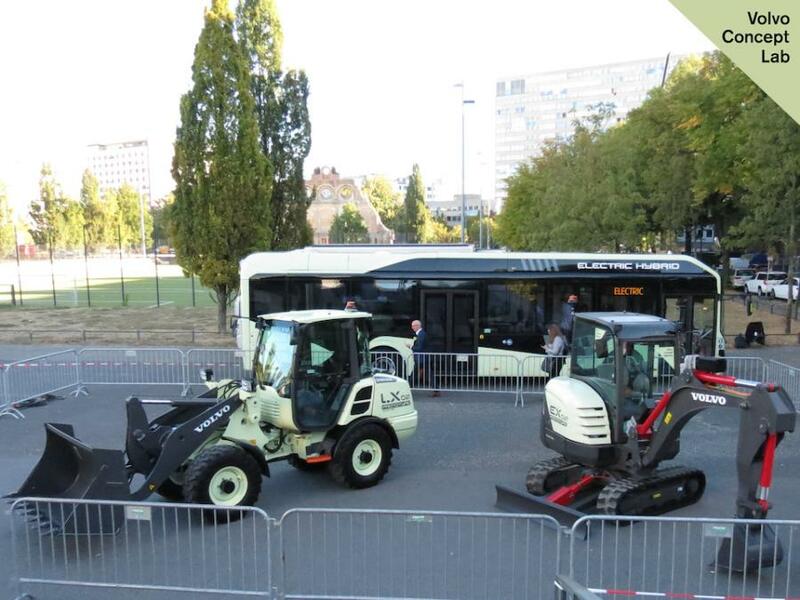 Volvo CE demonstrated the prototype LX2 electric compact wheel loader at the Volvo Group Innovation Summit in Berlin. 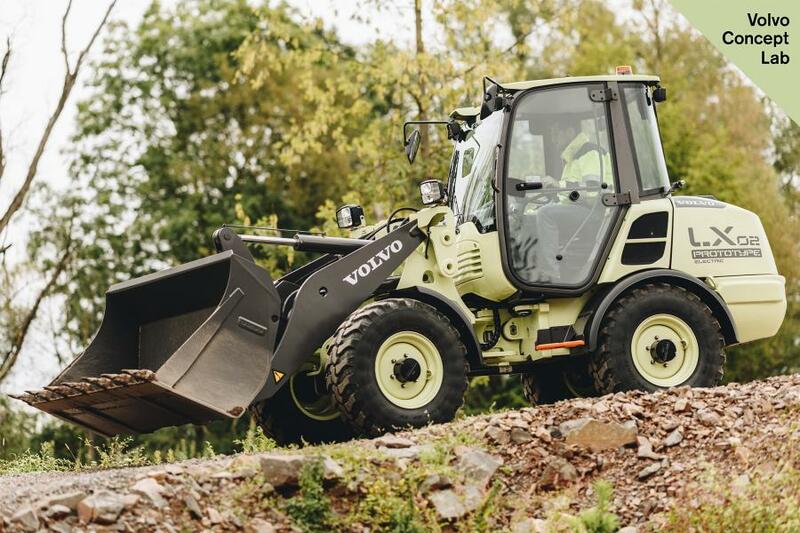 Volvo Construction Equipment (Volvo CE) unveiled its latest concept machine — known as the LX2 — to industry specialists, policymakers, the media and academics at the Volvo Group Innovation Summit on Sept. 12. The electric compact wheel loader prototype delivers zero emissions, significantly lower noise levels, improved efficiency and reduced operational costs, compared to its conventional counterparts, according to the manufacturer. The LX2 was presented at the Volvo Group's fourth Innovation Summit — which was held in Berlin, Germany — alongside autonomous and electromobility innovations from across the Volvo Group. The event focused on infrastructure and transport in cities of the future as well as how new concepts can have a positive impact on society through increased transport efficiency, reduced environmental impact and improved traffic safety. At the summit, Volvo CE also demonstrated its EX2 fully-electric compact excavator prototype and presented the company's electric site research project. The LX2 is a second-generation prototype that is part of a research project and is not commercially available. To make the machine electric, the combustion engine has been replaced with a lithium ion battery. This stores enough electric energy to operate the machine for eight hours in its most common applications, such as light infrastructure construction and landscaping. The LX2 also incorporates two dedicated electric motors, one for the drivetrain and one for the hydraulics. Decoupling the subsystems has led to higher efficiency in both the systems and the entire machine. Like the LX2, the EX2 is also part of a research project and is not commercially available. The prototype machine delivers zero emissions, 10 times higher efficiency, 10 times lower noise levels and reduced total cost of ownership compared to its conventional counterparts. At the summit, Volvo CE also presented its electric site research project which aims to transform the quarry and aggregates industry by reducing carbon emissions by up to 95 percent and total cost of ownership by up to 25 percent. Volvo CE and its customer Skanska Sweden are currently testing the electric site solution in a real production environment for 10 weeks at Skanska's Vikan Kross quarry, near Gothenburg, Sweden. 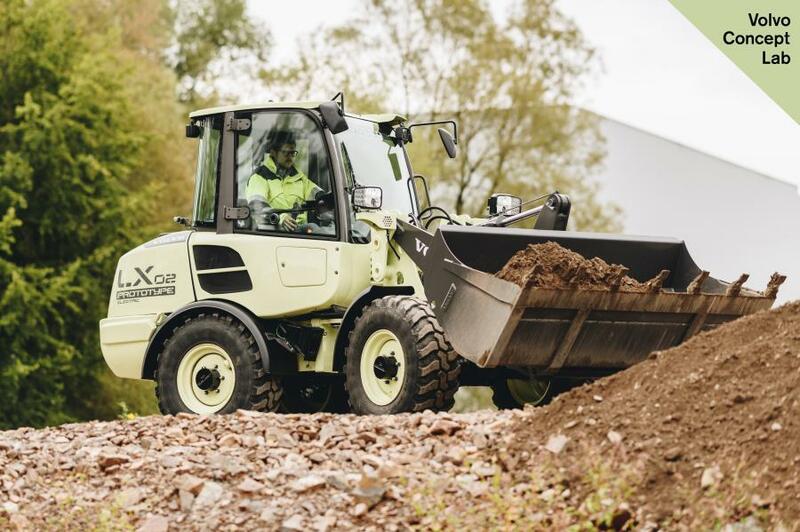 The system incorporates prototype electric and autonomous machines including the HX2 autonomous, battery-electric load carrier, the LX1 hybrid wheel loader and the EX1 cable-connected excavator. These machines are part of a research project and are not commercially available. For more information, visit: www.volvoce.com.